The knee gets lots of wear and tear and is a complex part of the body experiencing great stresses. As a result a wide variety of problems can occur. 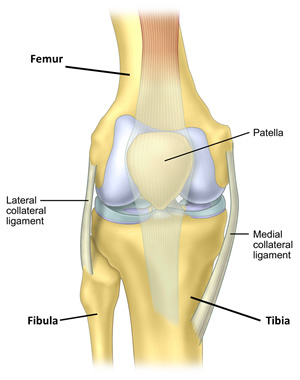 We have attempted to describe some of the more common knee problems, what causes them and without using medical jargon, what can be done to resolve them. We have also tried to give an indication on associated risks, success rates and the recovery process. We continue to develop our learning and surgical techniques and, with important patient feedback, will continue to add information that we hope you find useful. Of course nothing beats a face to face consultation and if you have any of the identified conditions, you are advised to arrange an appointment to see a specialist orthopaedic knee specialist. Mr Gibbon has over 20 years experience as an Orthopaedic Surgeon and 15 as a Consultant Knee Specialist. As well as being actively involved locally in training Medical students, surgical trainees and Consultant surgeons he has several years experience of delivering invited lectures and joining faculty on courses throughout the UK. He has also demonstrated surgical techniques and shared the results of his work on visits further afield including Spain, Brazil and India.